Being that it is winter; and another year is coming to an end, I thought it would be fun to create a list of Winter Themed Survival Movies that can be found streaming right now on NETFLIX. To bring in the holiday cheer how about a movie based on real events that takes place in the Andes Mountains. “ALIVE”, tells the story of a Uruguayan soccer team that has to survive a plane crash by resorting to cannibalism. If eating humans is not your thing than maybe you want to give “A LONELY PLACE TO DIE”, a try. This movie takes place in the gorgeous Scottish Highlands and involves a group of mountaineering friends who unwittingly become the targets of psycho kidnappers. Maybe you are looking for something a bit darker. In that case you should check out “Cave.” In this movie three ex-soldiers reunite to explore a deadly cave but soon find a terror beyond all expectations. Now nothing screams winter like a good mountain climbing theme. A documentary called “THE SUMMIT”, which is about the deadliest day in modern mountaineering history? 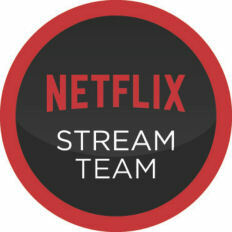 I wrote this post on behalf of Netflix as a member of Netflix #StreamTeam. All movie suggestions are mine. I hope you enjoy as I did.